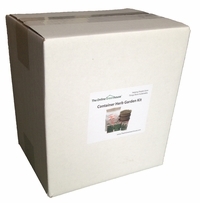 Introducing The Online Greenhouse grower kits. These great kits come with everything you need to get growing including potting soil, seed starting pots, and a variety of seed selections to choose from. Whether you're a grower, gardener, or farmer there is a size just for you! These kits make it easy to shop and save on the sustainable supplies you want, and they also make great gifts for the grower, gardener, or farmer in your life.